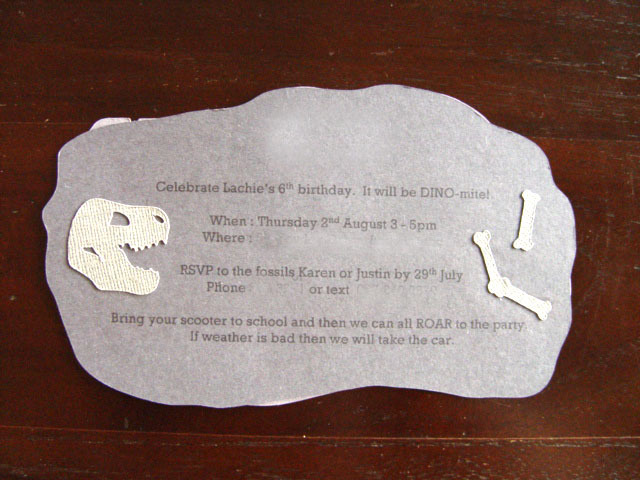 My almost 6-year old is having a Dinosaur party. 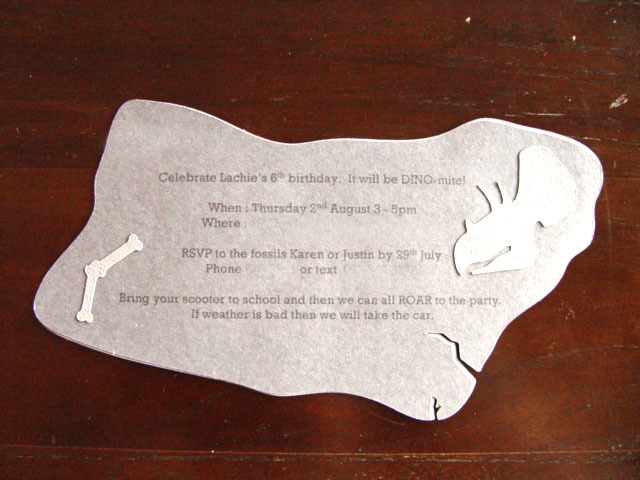 He's going to be 6 so its not cool to go cutesy, so I thought the party invites should be grungey too. 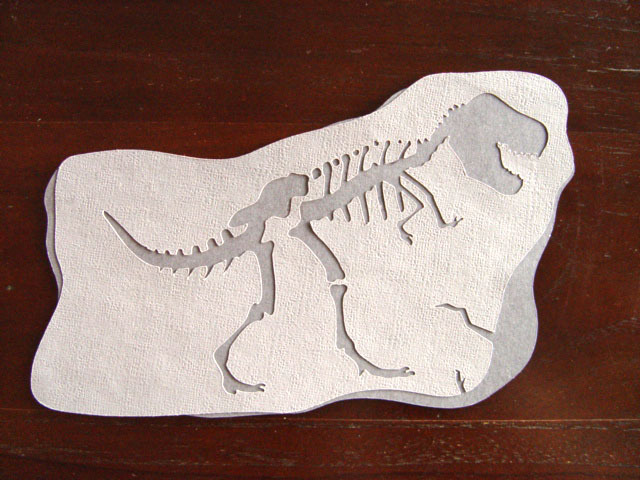 Here's what I came up with using Cricut Cartridge 'Dinosaur Tracks'. 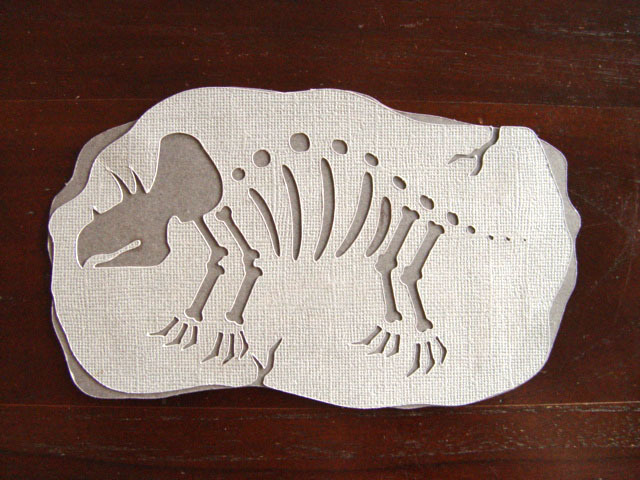 I made them all a bit different using two fossil shapes and the flip function. I also used the negative parts of the fossil ie. skulls and bones and glued them to the back of the invites for a bit of added interest. They were very quick to make!